Don�t limit your imagination as anything is possible. If you have a specific design in mind simply provide us with a picture and we can replicate it. If you are unsure of what you want, collect some pictures of designs that appeal to you and we can work with you in putting the pieces together to form your own individual custom paintwork. If you have no idea of what you want, we can design something for you. It is best to discuss your design requirements in person but if this is unsuitable, we can discuss it with you over the phone and send designs via email. 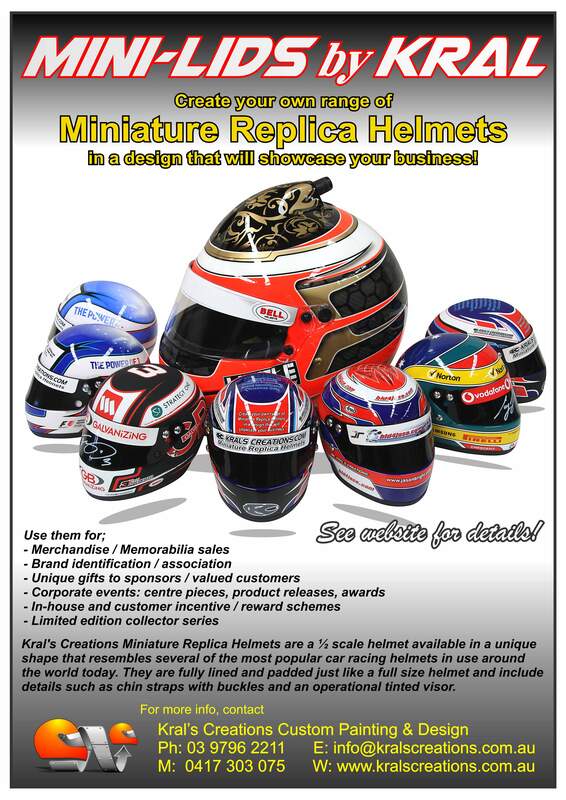 Almost any helmet can be painted � motorcycle, car, bicycle, hardhat, cricket, hockey, etc. We will not however, paint a helmet with serious damage. 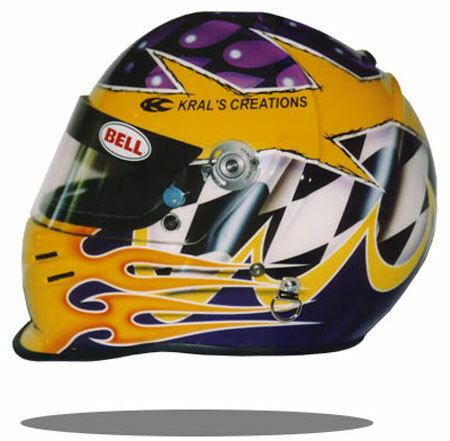 Helmets with existing graphics or used helmets can be painted. If you are buying a new helmet, a plain white or solid colored helmet is best for us to start work with. 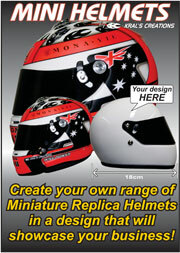 Call us for pricing on new helmet and custom painting packages. We have a large range of helmet accessories available including wings / fins, display cases, block mounts, cleaning products, helmet bags and a visor tinting service. Usually we can complete a helmet in 3 to 4 weeks. For urgent jobs we charge an additional fee. Once a completion date has been agreed upon, your job will be finished on that date if not before. Most people tend to spend an average of $1300-$1500 on a complete custom paint work. However some spend more, some spend less, it depends on the amount of detail you want and your budget. To get an indication or exact quote it is best to contact us directly.